Special Notice Regarding LORAN Closure: *** In accordance with the DHS Appropriations Act, the U.S. Coast Guard will terminate the transmission of all U.S. LORAN-C signals effective 2000Z 08 Feb 2010 . At that time, the U.S. LORAN-C signal will be unusable and permanently discontinued. This termination does not affect U.S. participation in the Russian American or Canadian LORAN-C chains. U.S. participation in these chains will continue temporarily in accordance with international agreements. With the upcoming shutdown of the various LORAN-C stations around the United States, many fishermen here have been feverishly scrambling to convert whatever Loran-C numbers which they still do not have GPS coordinates for. I have been continuously asked, and also have researched this issue on what the future holds for fishermen who still have Loran-C numbers which they have not converted as of this time. The clock is ticking as far as how long these stations will continue to be sending out a TD signal and final termination by the United States Coast Guard will be sometime in the early part of February as you read from the official USCG release above. If I can quickly give you and idea on your options, so far this is what I have found as somewhat workable solution if you do get 'caught short' on doing the conversion from Loran-C to GPS for those Loran C TDs you still have in your wreck books. POSAID was an old DOS program written in 1965 that used a formula which does a conversion of the time differential transmitted signal into a number (essentially a PLOT POINT) that is placed on a Lat/Lon grid. I am not going to get into detailed explanation on the development of this program, but this was the reason why it was originally written for....SAILING. An analytical method and algorithm for great elliptic sailing (GES) calculations is presented. The method solves the complete GES problem calculating not only the great elliptic arc distance, but also other elements of the sailing such as the geodetic coordinates of intermediate points along the great elliptic arc. The proposed formulas provide extremely high accuracies and are straightforward to be exploited immediately in the development of navigational software, without the requirement to use advanced numerical methods. Their validity and effectiveness have been verified with numerical tests and comparisons to extremely accurate geodetic methods for the direct and inverse geodetic problem. 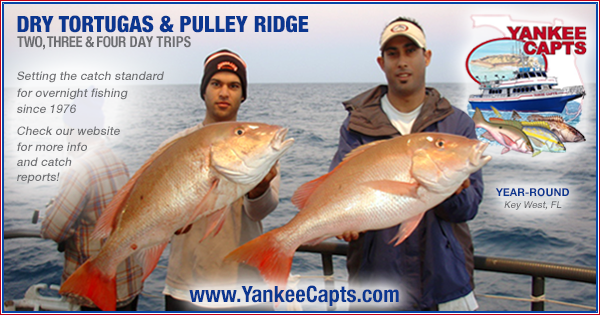 From what has been said about the original POSAID program, a number of fishermen who have used it, have found it accurate, but to a point. Depending on the area around the country where the TDs are taken from, accuracy can range from a tenth or two off, to a few tenths off, and up to a 1/4 mile off. One must remember though, depending on where the master and slave stations are transmitting the signals, and how far the signal HAS TO TRAVEL especially over land masses (this is the added distortion in the transmitted wave) that rise up from the BASE sea level, that the final GPS number that is converted will have a VARIATION sometimes noticeably (this is the difference in feet which I alluded to above) from a GPS number that is taken while a vessel is actually on the spot. Now I know that the above statement sounds like a bit of 'mumbo-jumbo' science talk, but to give you a quick idea, it is the reason why up and down our coast the difference in feet of a tenth can ROUGHLY range from as small as 48 feet to as far as 60 or more feet. Though we simplify tenths of a microsecond to easy to work with 50 foot increment, the variation in the distance between tenths will range from less or greater then the 50 feet which many think of as a tenth of a microsecond. 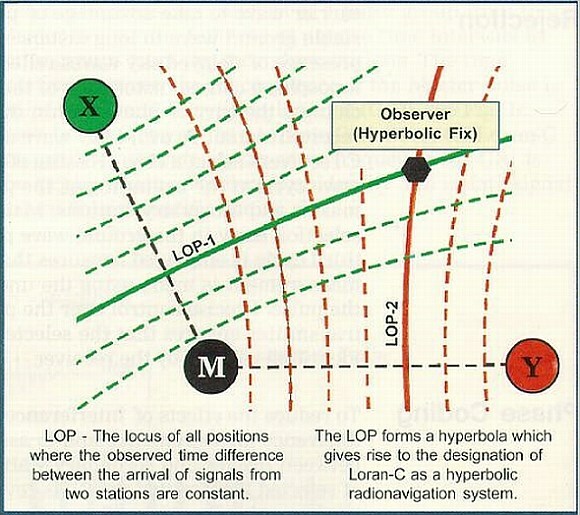 Thus from this illustrations you can see why a COMPUTATION using the POSAID program will cause varying distances in accuracy when you go from Loran C TD numbers to the converted GPS numbers. As you can see, the 'bending' of the TD signal, especially over far distances causes this hyperbolic curve as the distance get further from each slave station. This was one reason why a little known trick used by wreck hunters who went searching for wrecks in the northeast, was to hold the 39 line (the numbers increase as we go north to the familiar 43 line which we use in our area), since the distance in feet from each tenth to the next on the 43 line was more accurate since the lines are slightly closer together (remember that 50 feet per tenth illustration I used before) then the 26 line. It is also the reason why we start using the 15 chain starting at Shinnecock and eastward, since the accuracy of the 26 line starts to diminish at roughly this point. The file will be ZIPPED for easy downloading, and will then extract into a DOS based program. I do wish anyone GOOD LUCK if you want to use this method, and to remember some of the points above when you do get the final converted GPS number. Last week I had the pleasure to sit in on a full day instructional class given by mid-Atlantic region sales rep Drew Linzey of FURUNO USA on the NAV NET 3D. I want to make this point here that at first I was very resistant and had my own personal feelings on using the NAV NET product since I had used the older Nav Net machines on occasion. I found these units to have a noticeable 'learning curve' when it came to getting the fully functionality and ease of use from these machines. By far when it came to navigation and the the 'look' of the vector charts on the older Nav Net machines, I felt they were not in the same league as the very popular raster scanned charts of the Northstar 952 or 6000 machines made under the NAVICO products group. After going through a very easy to understand presentation, and hands on use of the NAV NET 3D, I must say, myself and others who took the class fell in love with this machine. Now getting to the point here on LORAN -C and trying to find a solution in converting your loran numbers to GPS, FURUNO is the only manufacturer at this time that has installed a built in LORAN C to GPS conversion program to use, and I must add, that it is very easy to locate using a combination of their ROTO-KEY, and a clearly laid out easy to follow menu when you want to have your machine display Loran C numbers. I was then given a on the water hands on demonstration by Drew himself, where we turned on the Loran C feature, and I was pretty shocked at the accuracy of the Loran numbers as the machine does not have or come with a Loran C antenna, but uses a built in conversion program which makes the NAV NET 3D operate in what we call PHANTOM LORAN mode. Now they went a step further with this Loran C conversion by adding in a clearly laid out menu driven-drop down boxes where you can further 'FINE TUNE' the locations accuracy by adding in your own OFFSETS for the area you are operating the machine in. What this means is that you can then either ADD or SUBTRACT 'tenths' like we were doing for the last few years with our Loran numbers. So say we had, AS AN EXAMPLE, Ambrose Tower in our wreck books as 26 900.5 by 43 700.5 and the current offset (that's the variation difference from the original numbers) was -3 on the top 26 number and +1 on the bottom 43 line. This would make the current location of Ambrose Tower now 26 900.2 by 43 700.6 if you are using your loran at this time. Again please be reminded, this is a simple example of what is meant by what is meant by an offset on the TDs, especially since we all saw the USCG for some reason over the last few years transmit a signal that now gave us this variation from the original transmitted numbers when the Loran C chain went into operation a few decades back. This variation would sometimes jump a tenth or two from one day to the next or go back to original TD numbers from years past. Also I should point out on a variation in Loran C numbers which we knew about for years, that many wreck fishermen from Shinnecock out east to Southern Massachusetts were familiar getting both a SUMMER and a WINTER set of Loran C numbers for their favorite wrecks and rock piles. As many of these wreck fishermen learned, their Loran TDs would vary over the year from a few tenths off since a shift would occur as the numbers would shift south and east in the winter (down in tenths), then revert back north and west to the summer numbers (up in tenths). One wreck in particular, the Cable Wreck (if you have reading my threads, you will find out which one this is), was notorious for 'disappearing' when fishermen were given the numbers to that spot and not told when that set of numbers were taken! Anyway getting back on how to fine tune the Loran C to GPS conversion feature on the NAV NET 3D, it is very simple to do. This is one method that you can use on the NAV NET 3D to do the conversion, and I hope I explained it clearly enough for everyone to understand. One other machine which will greatly help this process along is to purchase a Hummingbird machine that has the SIDE-SCANNING technology, which aids in finding bottom off to the sides of the vessel as it passes through an area. The feedback from fishermen who use this machine, is outstanding when using it depths under 120 feet of water. 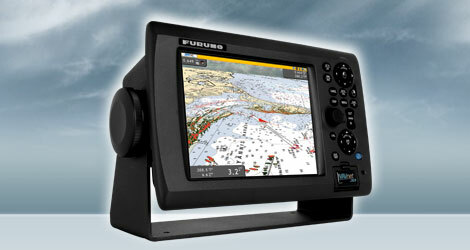 I should add, this is another added substantial dollar cost for the fishermen to put on his boat, but for those who have a number of inshore Loran C numbers to convert, this unit combined with a FURUNO NAV NET 3D will GREATLY ease the stress, time and work of converting your old Loran numbers. It is that good! As far as ENHANCED LORAN or eLoran which has been mentioned as the next generation navigation system and uses a somewhat similar TD-numbering system as the older Loran C stations used, from what I have found I doubt implementation in this country, is a long time off AT BEST. Unless I hear or read from a documented source, I would not bank on eLoran as being a viable navigation system to look forward to in the very near future....personally I hope I am wrong on this. Finally, I realize that this post may come off slightly over technical, but I hope that the concepts were explained to the point where most can understand what your choices are when the USCG finally turns off the Loran C transmitters along our coast. A Furuno GPS 37 will do the same thing Steve described above. Plus as I have been preaching for years www.p-sea.com. I would imagine Carl Andren will come up with something that can be purchased soon. Give it some time, I believe we will be fine. Excellent post Steve. I am going to put my boat back in the water next week in order to get a couple more search and converting trips in before the signal gets cut off. The idea of entering in the conversion factors into the machine is a neat idea from Furuno. I am thinking that determining your own conversion factors by going to known pieces and comparing the phantom numbers to your old on the money loran numbers for each particular area you are searching and doing the very simple add or subtract should work equally as well. Matter of fact, I am going to experement with this so I have an idea what to expect. Hello Captain Greg, and I am glad you mentioned Carl Andren. He happens to be noted as the leader in the field of developing charting software and his programs are HIGHLY recommended by many from what I have read. His website even sells a LORAN/GPS software program that is constantly updated. New Version 7.22 in the works: P-Sea Software is currently working on adding a top quality ASF correction table. The supplier of the ASF calibrations claims that it should have close to the same accuracy as the well calibrated TD's did. Greg great points you brought up here! Thanks RIck, and I have more information about yesterday if you want to contact me....very interesting to say the least. There are options here, and though it may require the INVESTMENT of some money, ANYONE who has spent ANY TIME looking for wrecks and obstructions knows the value of using top notch navigational and charting equipment. I and a number of other fishermen who enjoy wreck searching, realize that you need the right tools to give you greater success in finding not only new pieces of productive bottom, but also in having a way to convert the countless TDs that many of us have, and have not converted....YES LIKE ME! I can save ASF correction to file and then you can upload to your Wind Plot program too. However all my stuff is offshore so it would be of little help to most. Also Steve the OZI program and quad charts will fill in the rest of the blanks. Remember those I showed you? I would thing by this time next year we will see multiple things we can use. I will check in on Sunday. i tried and had a little problem with zipping, i think its time to have alis sit down with me and this damned machine. if i am close we will find it. I'll have to ask a buddy who just got a book full of Loran C numbers. We were actually gonna chase them dowm with my boat having a loran but he used a converstion that was dead nuts on the money. Hey Capt Rick Ive got a proposition for you. If you tell me generally where you will be looking, I will provide you with loran numbers that Im pretty sure arent well known at all. The deal is you get these numbers but you have to give me the Lat/Long for them if you find them. Even better, if you like I will even come with you. I know how to steer in circles as well as the next guy. I have gone to spots that I have the lat/longs and TDs for and checked them against my phantom loran numbers on my Northstar 951. I have been able to make the corrections from what the machine says vs what the real TDs are and then find near by spots only using the phantom loran. It aint perfect but it gives you some hope. I dont know and doubt that this will work if I had to steam 30 miles to the next drop but its something at least. Steve, Great article. A little over my head as I used to take the short bus but if anyone is gonna help us figure out this mess it will undoubtedly be you. Thanks for all the help. Steve I've considered this myself, fortuneately nearly everything I have has been converted OR I think I know who I can get the Lat/Lon from for any particular drop. Suppose you have accurate lat/lon and known good TDs for a wreck in a particular area AND you have supposedly known good loran numbers only for a wreck nearby. This will be easier if you have two GPS units, one set to phantom loran mode. Run to your known drop with the GPS, record the phantom loran numbers then compare to your known good loran numbers for that drop, create an offset. Now apply this offset to the wreck you need the lat/lon for, but only have "good" Loran numbers for nearby. Hey Frank, I'll call ya later. Good that you and Paul have tried what I was thinking and found that it works pretty darn well. Gives me a little hope. Unfortunately, I have still got a large number of loran numbers for stuff, mostly offshore, stuff I couldnt get to in my little boat. So I feel slightly better knowing I got a shot when I can finally get offshore looking.